And when you think Pinterest, remember that Pinners are planners! They’re ready to start thinking about Christmas – now! Pinners start holiday planning in September – 4 weeks earlier than others. Pinners also spend twice as much on the holidays as the general public! So this is definitely an audience you want to get to know. Impressive Pinterest holiday marketing stats to intrigue you. FREE webinars on holiday marketing from Pinterest! FREE report on holiday marketing put out by Pinterest last year. Colorful Pinterest holiday marketing infographic to Pin. My favorite resource for holiday Pin graphics and photo retouching. 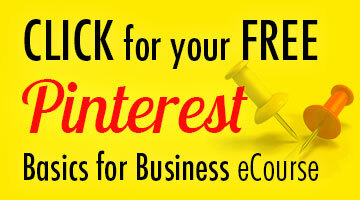 My FREE Pinterest basics course by email to optimize your account! Read on so you can make a splash on Pinterest in the last 4 months of the year. Pinterest likes to say they help people find ideas they love, and get inspired. 67% of Pinners say Pinterest is important for planning holiday purchases. 45% of people on Pinterest start planning for holidays at least 60 days out (that’s 21% higher than the general population). 1.1 billion holiday pins were saved in 2015. 69% of people do research online before visiting a store. 55% of Pinners use Pinterest to find or shop for products. 70% of incremental sales come from new customers. Pinterest is 5x more efficient at driving in-store sales than any other platform. 82 million searches for gifts. 158 million searches for holiday home decor. 271 million searches for holiday food and drink. 583 million searches for holiday style. The holiday season gets busy on Pinterest, with people searching, saving and buying gifts for all their loved ones. Pinterest is the perfect platform to reach holiday shoppers. Curious how to get your business in front of these eager customers? Download the Pinterest holiday report to learn more about how people are searching and planning for a big holiday. Pinterest will host three information-packed webinars to help you get your holiday strategy going. I attended last year and they were so informative! I’m sure 2018’s will be just as good, if not better – so sign up for one or all 3 now! Get ready for holiday shopping—see what’s trending in retail apparel and home so you can plan your Pins for the holiday season. Get the scoop on how consumer-packaged goods businesses are using Pinterest to help customers get ready for the holidays. Tune in to learn how to meet the holiday travelers of Pinterest at every step of their journey. For even more holiday info, you can download the slide decks from last year’s webinars. Holiday insights on Pinterest was on September 19, 2017. Get the scoop on all of your favorite holidays, including Halloween, Thanksgiving, Christmas and New Year. Click here to download the full slide deck on Dropbox. To download the Christmas slides only, click here. Holiday creative on Pinterest was on September 20, 2017. Find out what creative stands out on Pinterest during the holidays. To download the slide deck on Dropbox, click here. Retail holiday sales strategy was on September 21, 2017. Find out how retailers can pull sales forward by reaching early holiday planners. Every year, people search and save more than 200 million Halloween ideas on Pinterest. Their insights team dug through the data and narrowed it down to 101 trends in the top categories. Take a walk through the interactive Pinterest Haunted House to see and save Halloween trends, one room at a time. Need to make fast and fabulous Halloween graphics? You can’t do better than PicMonkey! They have numerous adorable Halloween card images that are just the right shape to make Pins. Sell products? PicMonkey’s photo editing tools are the easiest way to enhance your photos. ‘Cause we all know Pinterest loves high-quality photography! You can read more about making Halloween graphics here. Disclosure: If you decide to upgrade to a paid plan, I’ll make a referral fee. You pay no more, and this helps support my free content, so thanks! Just getting started on Pinterest? Or struggling to see results? Optimize! I’ll take you from setting up your account correctly to making simple, pinnable images, in my FREE e-course. We covered all these topics. Go back to catch what you missed! Impressive Pinterest holiday marketing stats. 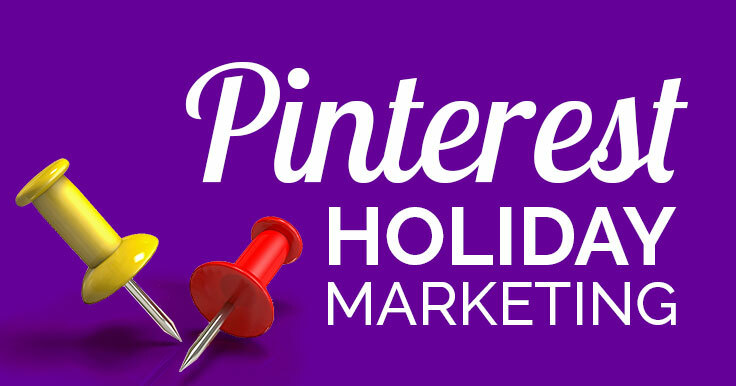 What do you think about holiday marketing on Pinterest – will you give it a go? Just to let you know that none of the links to register for the webinars work, sadly.. If you click on the link that says “Sign up here on Pinterest” it will take you to the signup page.